Time to aim for the bullseye! Wouldn’t it be useful to be able to direct your dog from place to place without needing to pull them or grab a collar? In my last column I mentioned the zoo animal trainer I worked with last week. One of his teaching tools is to train the animal to touch an object or ‘target’ which can then be moved around so that the animal follows. With puppy training we want our dogs to learn to follow hand signals. By holding a piece of food or a toy in your hand you can easily attract their attention to the movement. Gradually they begin to just look for the hand signal. A target can be your hand, a circular piece of card, a wooden spoon or a professional one (retractable, like a car aerial with a blob on the end and a clicker in the handle – we trainers do love our gadgets). Training a target: Decide if your dog will touch the target with his nose or his paw. I use a different word command for each (‘touch’ for nose, ‘target’ for paw. They sound quite different when you say them – try it)! Today we will work on nose ‘touch’. You can experiment with paw touch on your own, it’s good training practice for you! For nose touch: Place a small blob of cheese spread or meat paste (or anything similar that your dog likes) on the end of the target. Hold it in front of your dog and allow him to sniff/lick it briefly. As he does so, say ‘good dog’ (or click your clicker) and give him a treat. Move the target away each time you have finished, before presenting it again (do not move it towards the dog – let him approach it)! Do this several times until your dog sees the target and deliberately moves towards it to touch it with his mouth/nose. If he chews or grabs it in his mouth, don’t praise/click, just move the target away and pause for a few seconds. Slow things down with an occasional sit and reward. Next, remove the tasty stuff from the end of the target so that your dog is touching just the target. Finally, add a cue word (‘touch’, or the cuter ‘boop!’) so that your dog learns to associate their action with that word. Don’t give this word too early – you risk confusing the dog with lots of incorrectly trained parts of the task. Can you now move the target away from your dog so that he follows it when you say ‘touch’? Each time, praise/click and reward with a treat. Practice moving him around the room, holding the target away for him to approach and touch with his nose. That’s it for now – Over to you to think about ways you can use this skill, and add what you can use it for to the comments below! 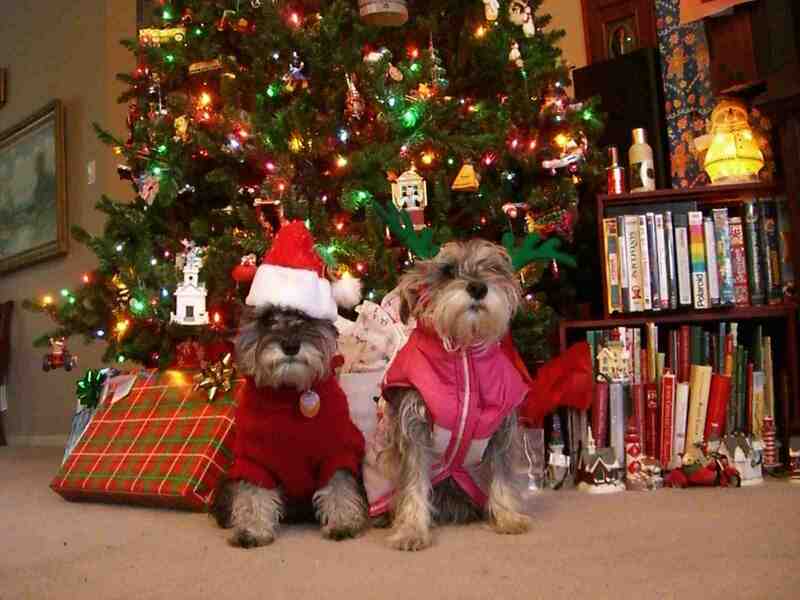 Here’s a little dog training tips challenge for you over the Christmas break. There is one activity per day, and at the end of it, you and your dog will have some new skills! The first six are this week, and the next six follow on next week. You can have a break on Sundays. Ask your dog to sit for 5 seconds, then 10 seconds, then 5 seconds, then 15 seconds, then 1 second. Move your dog off the spot in between each sit. Have a break. Then, start again for 15 seconds, 30 seconds, back to 15 seconds. When you start again, begin with 30 seconds as the first amount of time. Always drop back to a shorter time now and again. As your dog settles more, begin to walk away and come back to him whilst you are counting. Work up to leaving your dog for longer until you can go out of the room and come back! Heelwork is walking at your side, with the dog’s head and shoulders level with your leg. 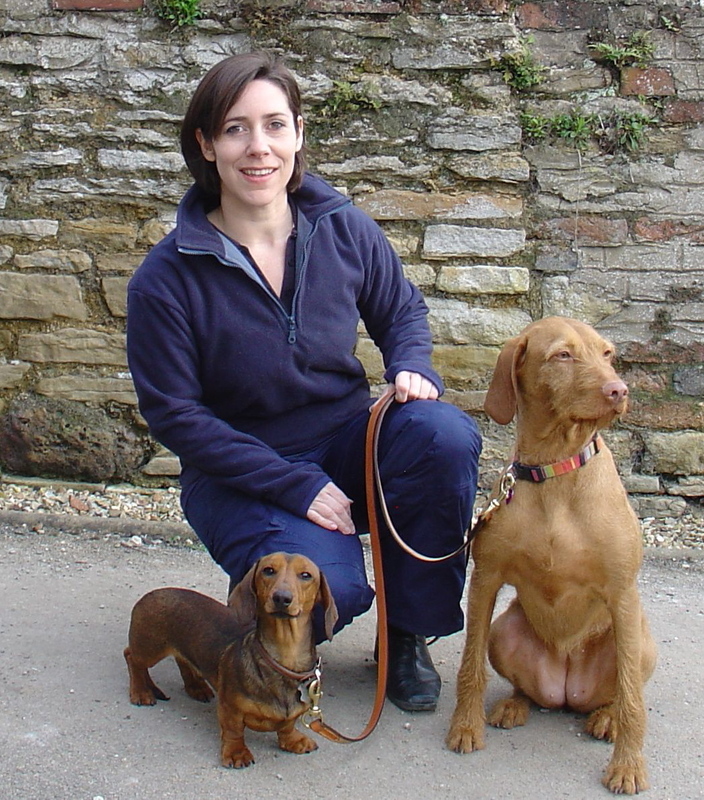 For competition dog training the dog needs to be on the left, but I like to teach my dog to stay close to whichever side I place him. This can be safe when you are near traffic as the dog can be positioned away from the roadside. 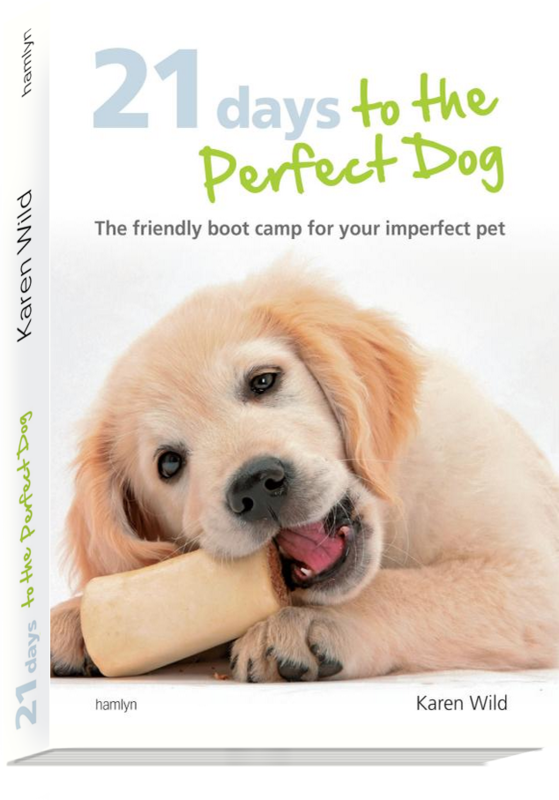 Start with your dog slightly behind you, pat your leg and waggle a treat at your side. As your dog comes forward, say ‘heel’ and walk two steps only. Stop, feed your dog the treat. Start again – two steps at a time, no more. Reward as you go, rather than each time you stop. Before you know it, you will be walking along with your dog happily and neatly at heel. Ask your dog to lie down. Let him settle in this position before you try to stand up straight. If you need to use a treat to lure him into the down position, do so. Dog training should be an enjoyable and relaxing activity. If your dog enjoys it, stroke his sides gently and give him a tummy rub too. When he has relaxed, slowly stand up straight, reminding him ‘down’ as you do so. Repeat this three times. Four dog toys to search for! Pick out four of your dog’s favourite toys. If your dog prefers treats, use four of these. Ask your dog to stay in place (using the previous days’ training) or shut the dog out of the room. 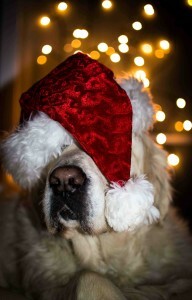 Hide the toys or treats around the room and let your dog come in to find them all! Get your dog to fetch, and bring back, five different toys. If your dog grabs things and runs away, play this game into a corner so that your dog can only come back to you as he picks up the toy. 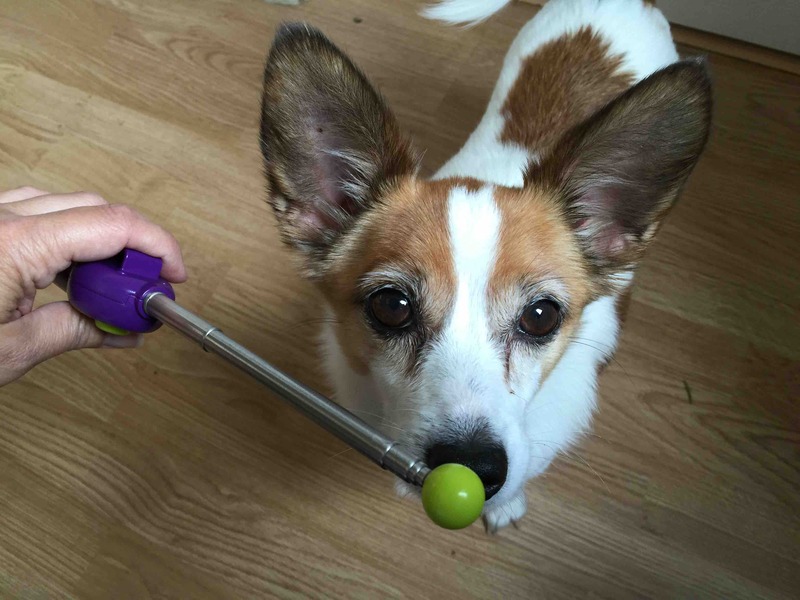 If your dog isn’t keen on toys, work on getting your dog to play with a toy, containing food if you can. Try and get five quick games with it, then put the toy away. Dog training is all about keeping it fun! Six people playing (with your dog)! Work on socialising your dog by asking six different people to play with your dog, offer your dog a treat, or if your dog is shy, just offer a treat every time you meet a new person. Dogs of any age need to enjoy social contact, so make sure your dog does not get out of practice. 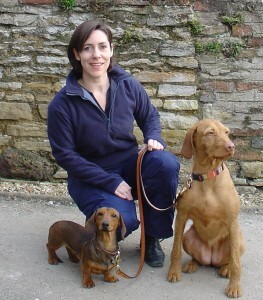 Next six dog training tips coming next week! Dog training tip! I promised to give you some more party-pieces for your dogs to learn in the run up to Christmas. Here is one that will help you to learn exactly how your dog can move his posture. This is basically a sit with the front-end of his body! Use this dog training tip to teach your dog to finish off any party pieces with a bow to some well-deserved applause! 1) Begin with your dog in a stand. Hold a treat on his nose, and gradually lower the treat. Keep the treat very close to his nose, moving it inwards towards his body so that he drops his chin and shoulders to reach it. 2) Keep the treat moving so that your dog crouches his front end to reach it. Once he does so, say ‘Bow’, praise and treat. Release and repeat five times. If necessary, place the back of your hand underneath and just in front of his back legs to keep them off the ground. 3) As you say ‘bow’, start to bow yourself, too – this becomes the body signal along with the command. 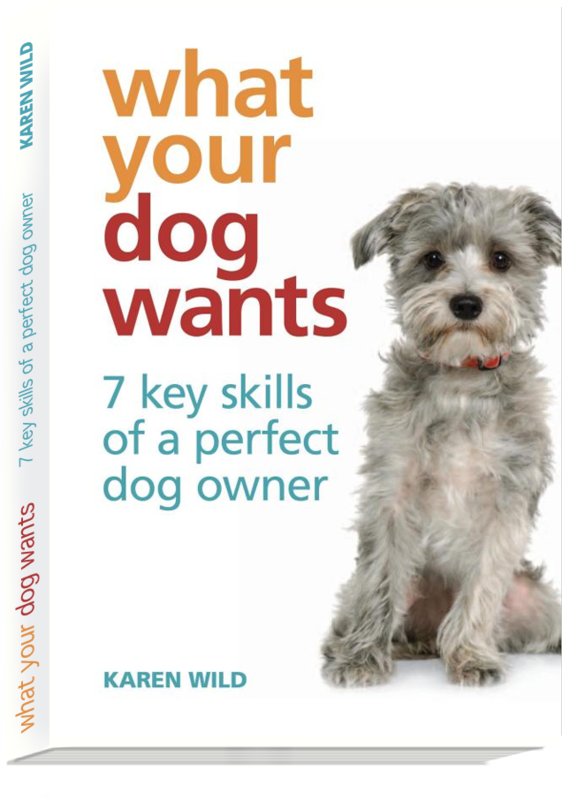 4) Keep practicing in short bursts – never teach this at the same time as a ‘down’ as your dog will get very confused. 5) Finally, add in some of the other fun tricks your dog knows, and make a little show. Another dog training tip: always pay your dog well with nice food or a game with his toy. He needs to earn his wages or pocket money, just like anyone. If you stop paying, he will stop working! Be thrifty with treats but don’t be mean. This and more dog training tip goodies are available in my book ’21 Days to the Perfect Dog’ (available on Amazon and at Waterstones and WHSmiths) which is filled with day by day exercises to get any dog of any age into useful skills. 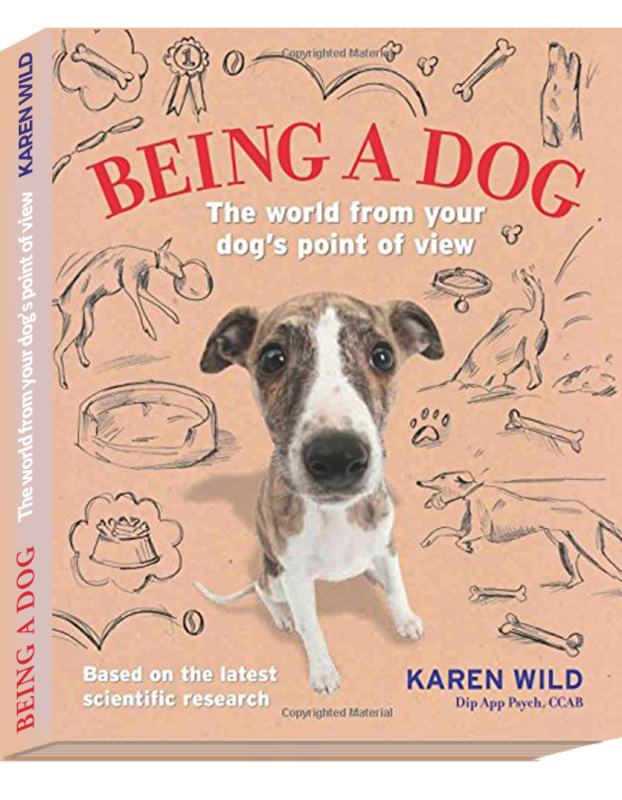 It is also good for you to interact with your dog and learn about how dogs learn. Do you have a photo of your dog performing one of his best party pieces? Send them to me at info@pawprintpets.com. I will share the best ones on this column and on our facebook page. 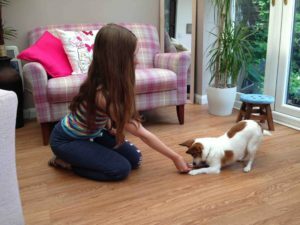 Now get teaching whilst playing and having fun with your doggy best friend! 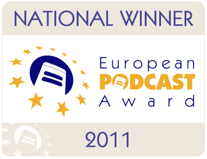 Join us on facebook here! Or chat to Karen on Twitter. Training your dog really is the answer. Ever felt like giving up when your dog doesn’t behave? These tips are for you. For the hundredth time of apologising to someone because their muddy feet have planted splatty paw prints on their clean clothes? When their dog sits perfectly at their side? 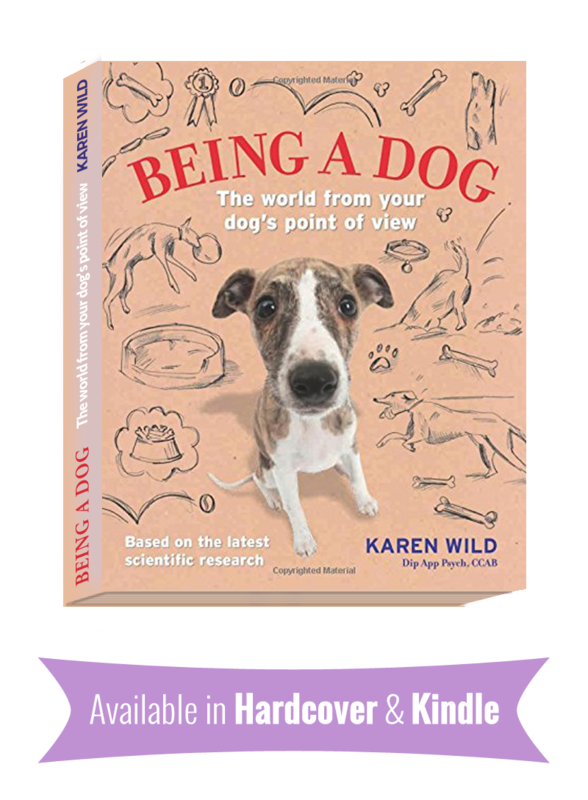 When your family or neighbours raise their eyebrows at your so-called best friend, as he barks his head off at another dog, or the postman? Been there, done that many times when helping my clients. The key is – stick at it. There is no secret to training your dog. We all learn in similar ways, but our wages are different. Human wages are usually money, which in itself has no meaning. It is what we can DO with money that matters. Dog ‘wages’ can be food, toys, play, freedom, allowing them to sniff, allowing them to meet people, and so on. Countless times I am told that ‘food and toys don’t work with my dog’. I have seen many that aren’t that motivated. However, they must be motivated by something or they would not have a problem! What changes is the skill in using the rewards, and for how long we stick to the plan. When you are training your dog, you need to know that skill. Be patient. Decide that your dog is going to learn to sit every time he is thinking about doing something you do not want. Remember; ‘thinking about’, not actually doing! 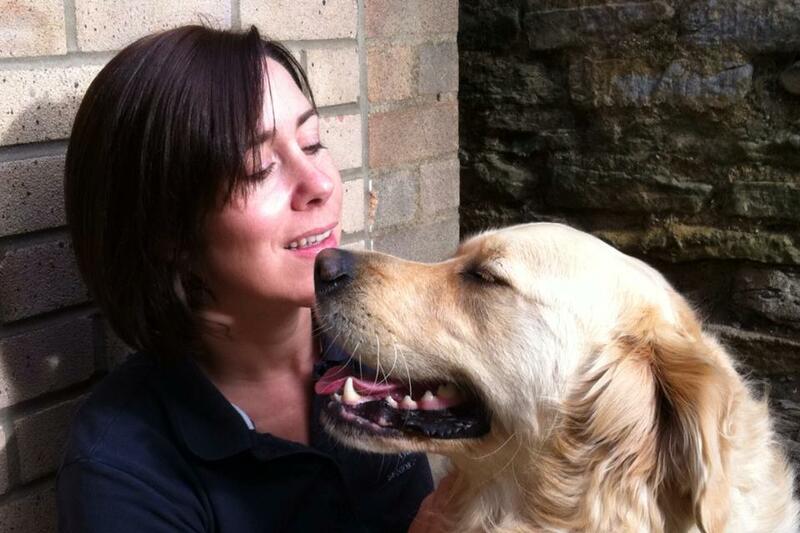 A guide dog does not wait until its handler walks into a lamppost before steering them away. Do not wait until your dog is in trouble before reacting. Why? You can see what is about to happen, and can react long before your dog does. Training your dog is all about pre-emption. If you say ‘My dog always barks at cats, but I don’t see the cats before it is too late’ you usually do know where the cats hang out, and can start to work towards that as a known distraction. Dog training is all about context! If your dog jumps up at visitors to your home, arrange some to come round and teach your dog to sit in advance on a mat placed in the hall. To get the visitors to greet him, your dog has to stay sitting or no greeting. Practice a lot – and I mean, a LOT – in advance – this is an effort, but you want results. They won’t happen magically! Ten repeats of one exercise every day will give you a lot of practice in just a week, so don’t avoid this and then blame the dog. This is what training your dog really is after all. It is not ‘dog ignoring’. Remember, you are their carer and guide, and they like you. Why not make an effort to help them live in our daft human society?